As a seller, I run into all kinds of problems, especially when using PayPal. The main problem I have is people doing a chargeback for a payment and PayPal reversing it in favour of the buyer. It’s frustrating to me that I offer legitimate services and can be so easily scammed, with the help of PayPal. I’m hoping my tips will help other sellers out there who use PayPal and inevitably go through the same thing. The first thing you’re going to want to do is speak with your customer long enough to build a little trust. You’re going to need to get them to do you a favour. Once you feel like you’ve built this trust, it’s time to talk business, and you’re ready to start services, ask them to send their payment. Do not accept payments from any buyer not willing to attach this note to their payments. If they’re legitimate customers, they will have no problem doing it. If they’re scammers, they will come off more reserved. Refund any payments that you receive without the note attached and have them do it again with the note attached. Doing business without it is just asking for trouble. A lot of people like to dispute payments for no reason and PayPal tends to side with the buyer no matter the case. Having this note is extra security for you and will definitely increase your chances of winning every single dispute with it attached. But what about the disputes that already exist? What if I made a stupid decision and decided to do business with someone who didn’t want to attach the note and now they’re disputing the payment? First of all, you’re an idiot. You should have listened to me. But luckily, I can help you out of the hole you’ve dug yourself into. 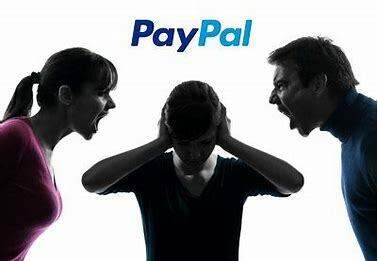 This should do the trick in winning your PayPal dispute(s). Good luck! If you know any tricks to winning a PayPal dispute, mention them in the comments below!